In the UK, Bart van Es has been awarded the £30,000 (A$54,900) Costa Book of the Year award for his biography The Cut Out Girl (Fig Tree). 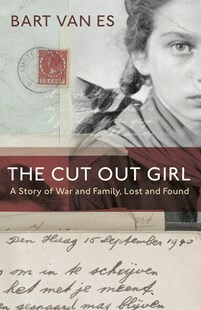 The Cut Out Girl is a biography of Lien, a Jewish girl in Holland who was hidden from the Nazis and fostered by van Es’ grandparents, who were part of the Dutch resistance. Lien’s narrative is tied together with the present-day account of van Es’ attempts to piece together the story. Van Es was chosen as the overall winner over the four other category winners announced earlier this month. For more information, see the Costa website.